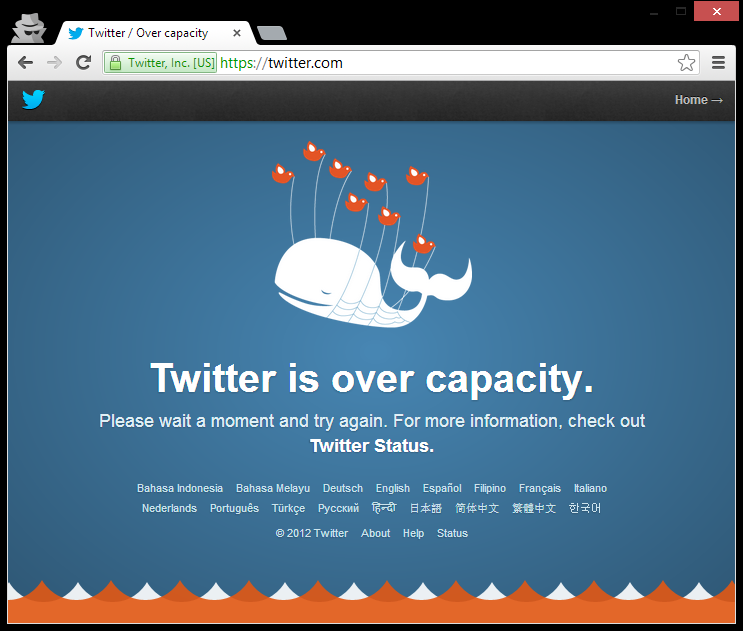 Just 10 days after the last set of access problems, Twitter is once again experiencing an outage. 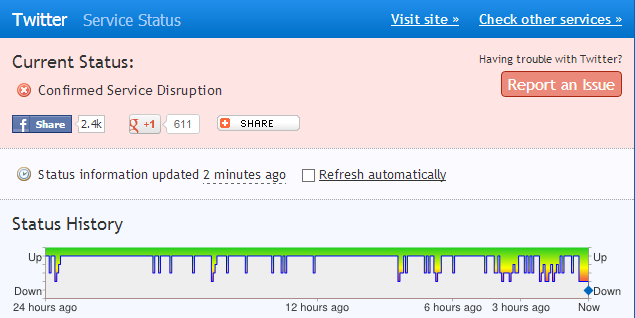 On Thursday morning, the service started experiencing high loads and the website began showing “over capacity” messages. Update: The issue has been resolved. See the bottom of this article for Twitter’s statement. Update at 1:30PM EST: Twitter has fixed the problem and issued the following statement. We experienced intermittent issues affecting web and mobile users, globally, between approximately 7:00am and 9:50am PST. This incident has now been resolved. We apologize to users who were affected by this, and we’re working to ensure that similar issues do not occur. The outage lasted for less than three hours.